Have you registered for ELLDo? Welcome to Empirical Linguistics and Language Documentation (acronym: ELLDo), a MA programme at the Faculty of Modern Languages and Linguistics at Adam Mickiewicz University in Poznan, Poland. 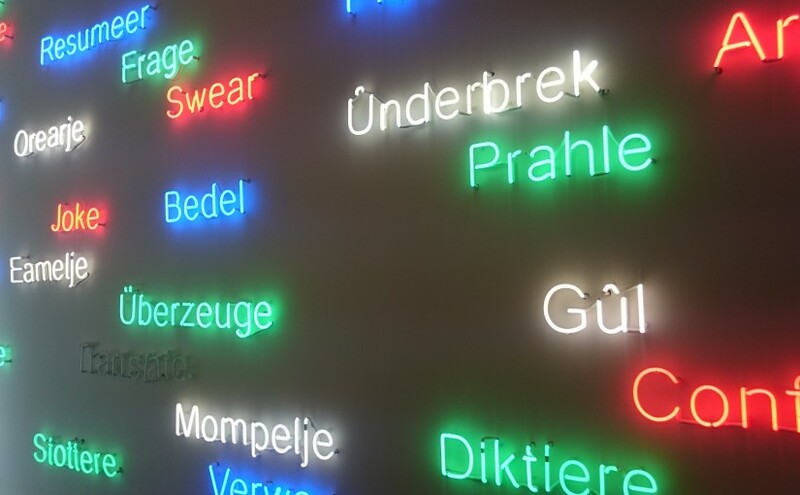 Picture: from an art work by Tim Etchells – 80 words in four languages (do you know which?) expressing what you can do with language – created for “Lân fan taal“, Leeuwarden, 2018.